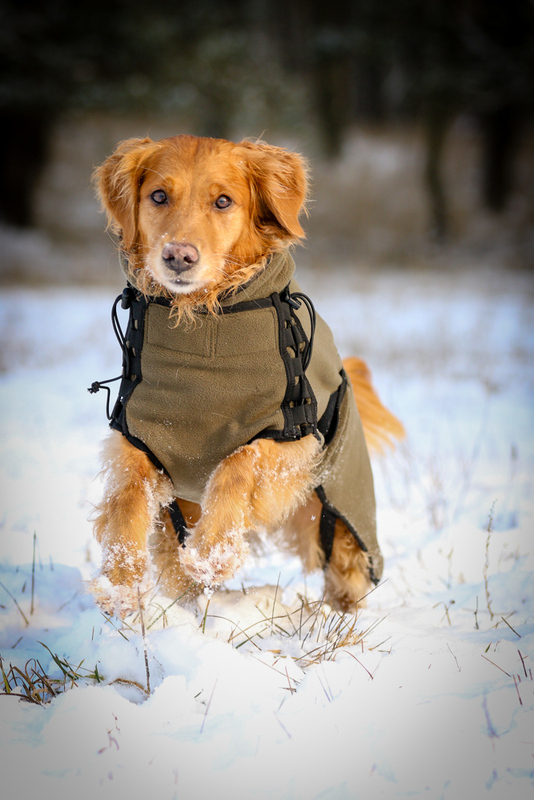 The dog jacket is completely made from Polartec® Thermal Pro® and because of that is warm, breathable and is able to move moisture away from the body to the outside. In the development, a great deal of attention was paid on optimal form, because only a well-fitting jacket can fill out all its functions. 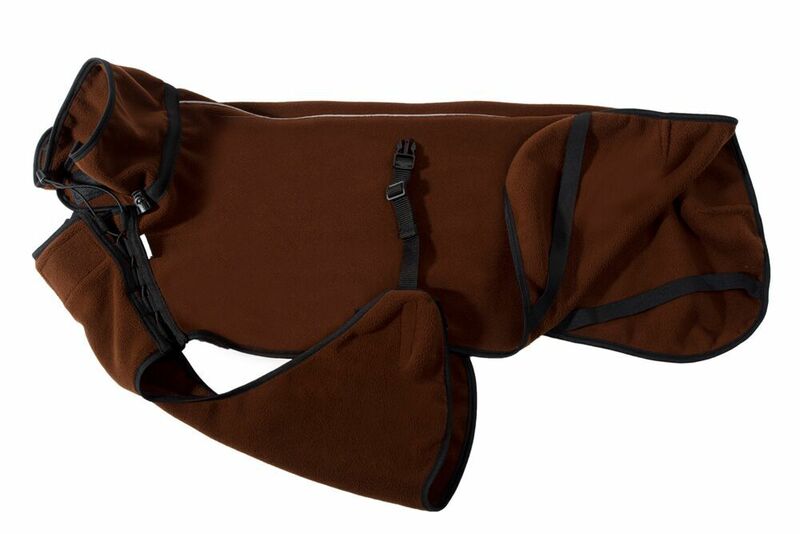 The jacket also has a soft, wider elastic bands that can be placed under the hind legs. Also, all the beads are from soft and flexible material, which follows the movements of the body and does not scuff. 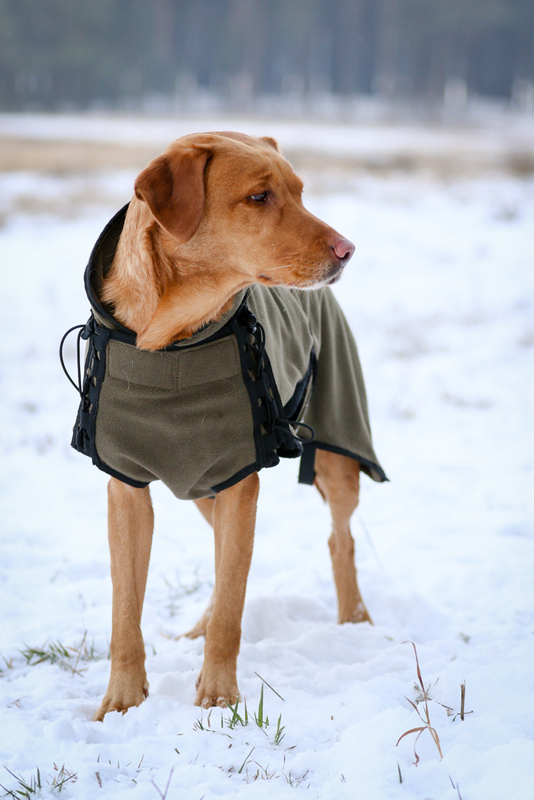 The elastic lacing on the front part allows the jacket to be individually adjusted to the dog's chest. 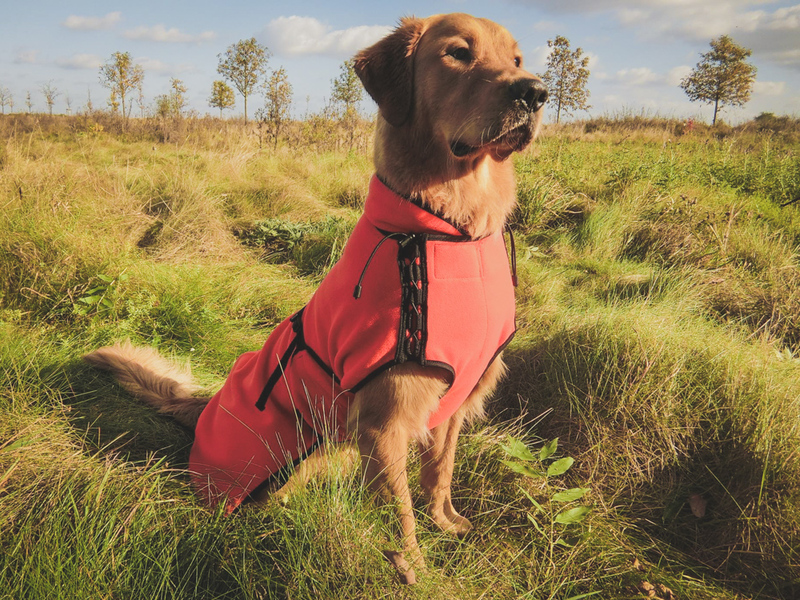 The jacket is easy to wear thanks to the click closure on the back, the extended neck part protects this sensitive part of the dog body and the reflective strip on the back increases the safety of your dog. Polartec® Thermal Pro® fabrics are the most technically advanced of all Polartec® fabrics and offer a wide range of applications. The new high-pile versions achieve the best heat-to-weight ratio of all Polartec® fabrics. 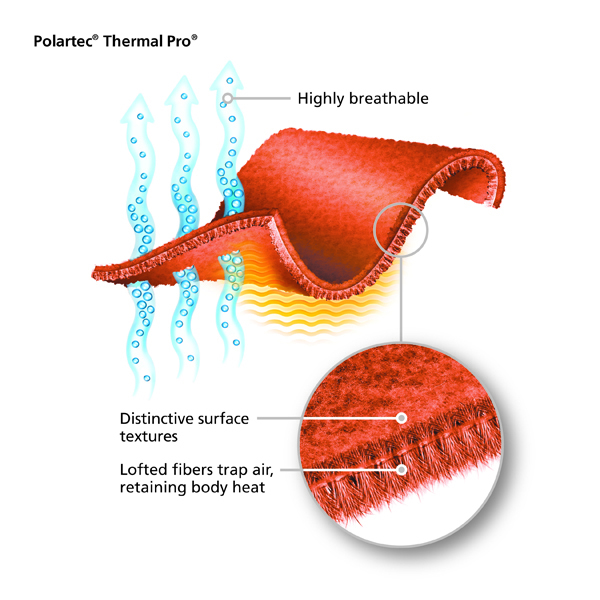 Polartec® Thermal Pro® fabric is made of durable polyester yarns. It stores air and thus offers excellent heat retention capacity and low weight. The fabric is particularly breathable, dries quickly and is water repellent, so that rain and snow bead off. 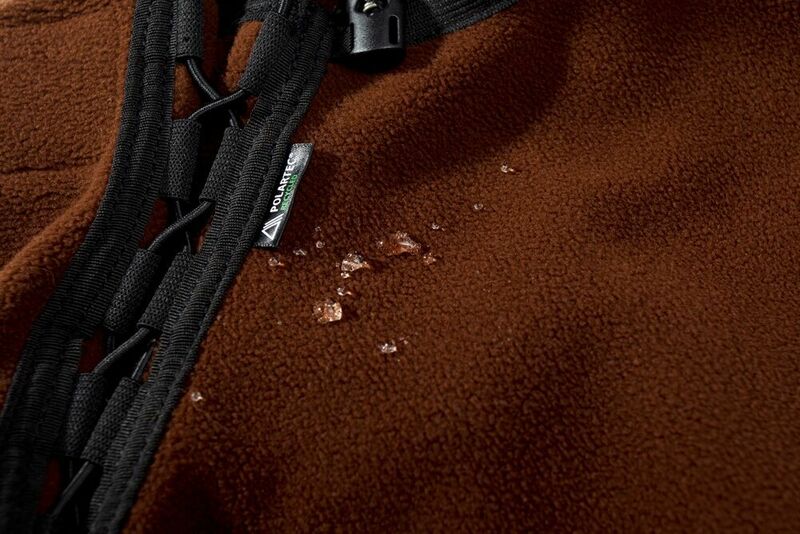 Polartec® fabrics represent the latest state of the art in fleece.